For most people, their home is their largest investment and a safe haven, or sometimes a backdrop in family memories. Brothers mold remediation services feels the same way about our homes. And because we do, your home will be treated like we treat our own.For more than 10 years, Brothers has been offering mold remediation, testing and abatement in New Jersey. Our mission and main goal in life is to protect NJ residents from the harmful effects of mold. 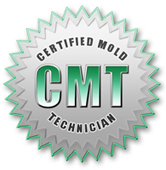 We are a local, family owned mold remediation company well renowned for our quality craftsmanship. Our attention to detail and fair prices supersede the bounds of normal expectations. When you choose Brothers, you choose real people ready to deliver real results.